Product prices and availability are accurate as of 2019-04-16 08:53:15 EDT and are subject to change. Any price and availability information displayed on http://www.amazon.com/ at the time of purchase will apply to the purchase of this product. 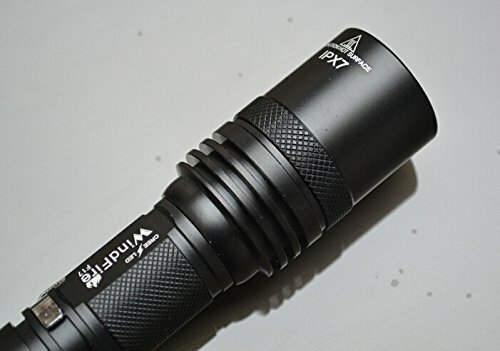 Function: Waterproof CREE XM-L T6 LED Spotlight Flashlight. - Provide super bright light beam. - Made of high quality 6061T aluminum alloy, sturdy and durable enough for long time daily using. - Support waterproof function, but it is not a diving flashlight, please do not put it into water directly - One button for 5 modes' operation. 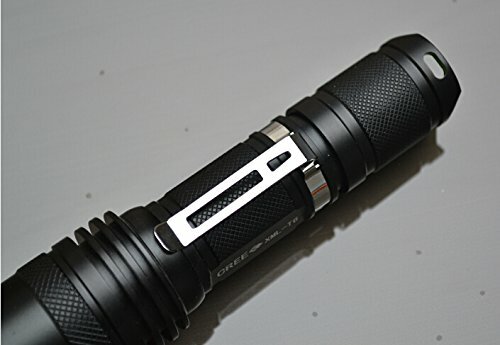 - Type: CREE XM-L2 T6. - Luminous Flux: rated 2000lm.
. Material: high quality 6061T aluminum alloy. Power Source: 1 x 18650 3.7v rechargeable battery(battery included) . 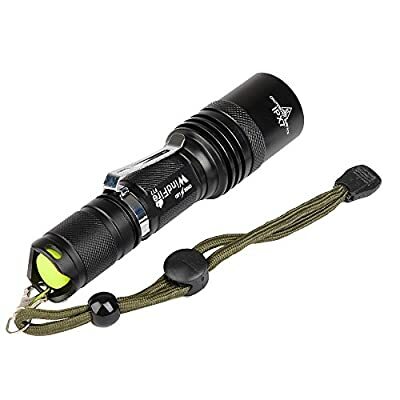 1 x WindFire F17 High Power Spotlight CREE XM-L T6 LED Flashlight. 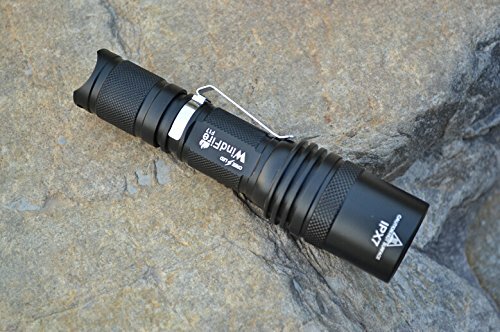 WindFire F17 2000 Lumens Spotlight Lamp CREE XM-L T6 U2 L2 LED Bulb Spot Lamp Flashlight. 5 switch modes LED flashlight : high / middle / low / strobe / sos HThe body of flashlight is built of aircraft-grade aluminum alloy, it has a very solid construction Waterproof design, Power Source: 1 x 18650 Rechargeable Battery (18650 included) Super brightness, best suitable for camping, travel, outdoor activities, etc..